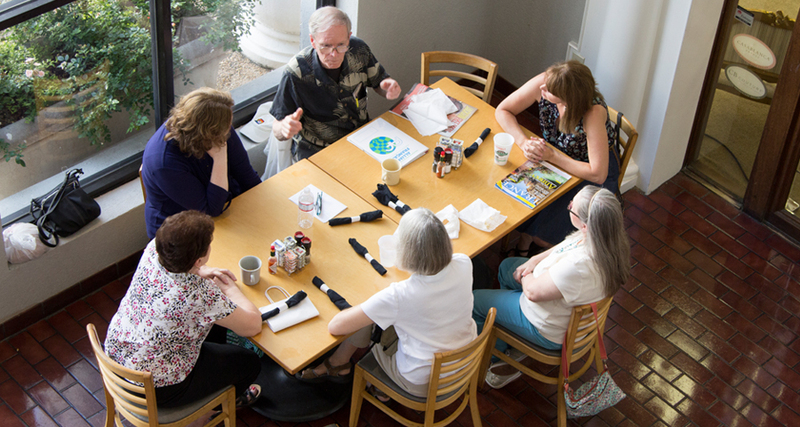 The Alliance Française de Jackson offers two French conversation groups free for members. The groups are for members only. However, if you are thinking about joining the Alliance Française de Jackson, you are welcome to join us as a guest once or twice before submitting your membership. This is for members only and meets on Thursdays, 4:00-5:30 p.m., at Banner Hall at tables across from Broadstreet Bakery. The conversation group is free flowing on a range of topics, including current events, participants’ interests, travel, and French culture. This group enjoys casual conversation on a wide range of topics and welcomes all levels of French. Max Garriott facilitates the group. *Exceptions to the schedule and location will be posted.